So, where do we begin? Let’s peer into the world of TLS, SSL, and HTTPS certificates. 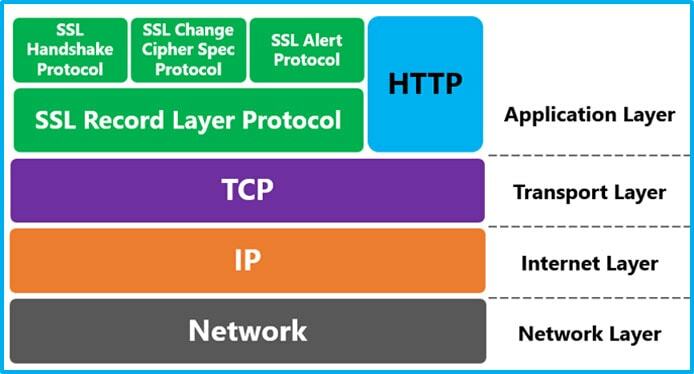 TLS/SSL consists of two layers within the application layer of the Internet Protocol Suite (TCP/IP). Websites with EV certificates tout the green bar of trust in the browser address bar. These certificates are, however, the most expensive because an extended organizational verification process is done based on these issuing criteria. In the past, getting a certificate was often complicated for website owners. Hosting providers spent inordinate amounts of time integrating different tools and administering manual processes into their businesses. And the cost of a certificate was sometimes a prohibitive factor for smaller and/or non-commercial web property owners. In 2014, a group of companies and nonprofit organizations, including the Electronic Frontier Foundation, Mozilla, Cisco, and Akamai, announced Let’s Encrypt – a free, automated, and open Certificate Authority. This project has shown to be groundbreaking in terms of the number of Domain Validated certificates being used nowadays. Find more on their Automatic Certificate Management Environment (ACME) tools and how to get started here. In 2016, Symantec started their Encryption Everywhere initiative aimed at ensuring every legitimate website is secure by 2018 using a hassle-free certificate process. Symantec’s program helps web hosting partners offer basic encryption at no added cost to the hosting customer. Symantec provides basic certificates to hosts, who can, in turn, provide fully integrated SSL encryption to any new or renewing customer (through their cPanel interface). So, in these days of free certificates, lower-cost industrial-grade certificates, and much better certificate management tools, there are fewer arguments against using HTTPS as a site owner. Now that you know what is required to secure your site using HTTPS, the TLS certificate options available, and the trust expectations of Internet users, you’re free to start implementing encryption best practices on your own site. Head over to The SSL Store, an excellent partner in this somewhat bewildering world of web certificates and security acronyms. They will deliver friendly, security-qualified, and 24/7 customer support — not to be outdone by the best web hosts out there.